The Kakogawa coke plant is a technically advanced production facility.The computerized system used in the plant&#39;s production line featuresstate-of-the-art information technology that enables the companyto achieve a high level of automation, continuous operation and great efficiency. 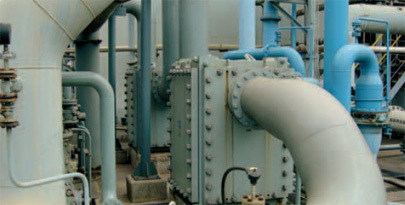 In 2000, corrosion in the four shell-and-tube heat exchangers had reached such a serious state that they all needed replacing. The Kakogawa management therefore decided to investigate more modern process equipment. A gasket-free, all-welded plate heat exchanger could only be used if it was possible to regularly open and clean the unit. This made Alfa Laval Compabloc heat exchangers the only logical solution. The Compabloc welded heat exchanger is probably the most compact and efficient heavy-duty heat exchanger in the world.